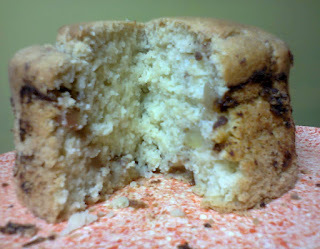 I wanted to share a cake recipe that I truly love, (even without Frosting), yup. 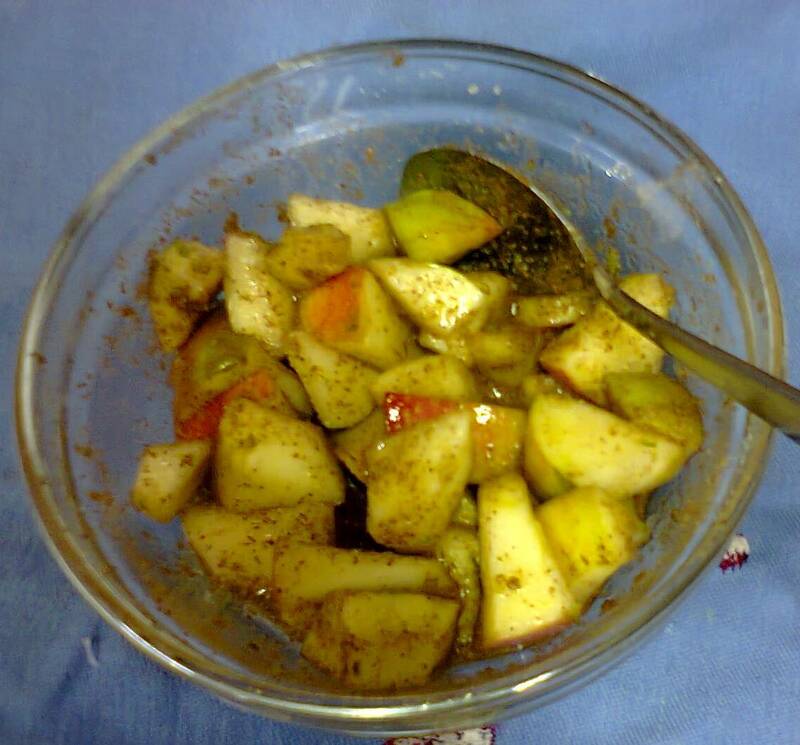 I love apples, and anything apple-like; apple juice, apple pie, apple cake. 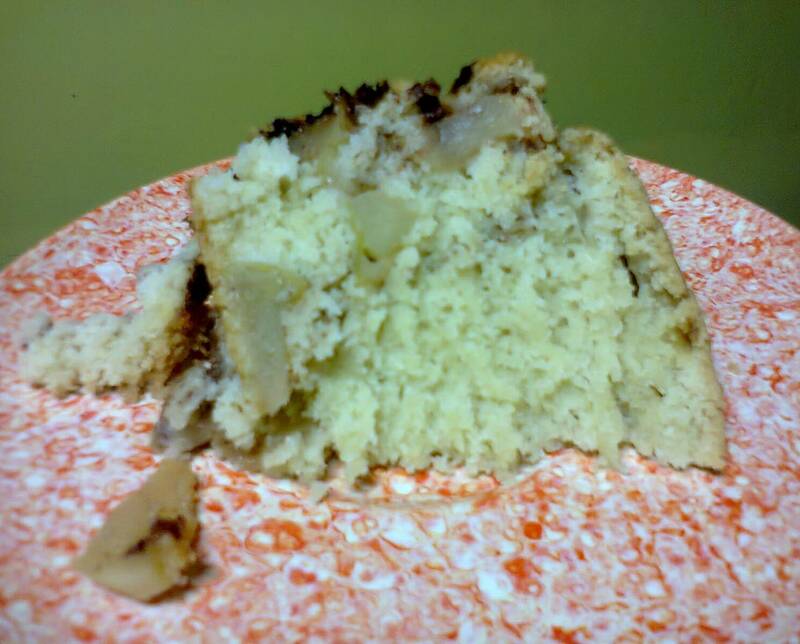 So I baked an Apple Mini-Cake for my family the other day and we ate it warm. It was so delicious, that I decided to share it; who knows, maybe we'll add it to the Amari Bakery menu soon ^_^ Here it is, enjoy! 1.) Preheat oven to 350ºF. Then grease and flour a Round 6" cake pan. Set aside. 2.) In a separate bowl, sift the flour & baking powder and set aside. 3.) 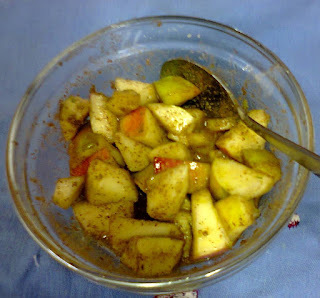 In small bowl; combine the cubed apples, cinnamon, lemon juice & a small amount of sugar (about 2 Tablespoons) and mix. Set aside. 4.) Cream the remaining sugar & margarine in a medium bowl for up to 3 minutes. Add the egg and beat for another 1 - 2 minutes. 5.) 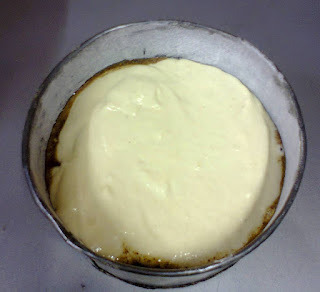 Add the flour mixture and milk alternately, three times, starting and ending with the flour. Mix thoroughly but do not over-mix. 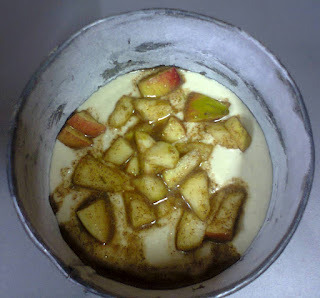 then layer the rest of the apple mixture and top it off with the remaining third of the batter. 7.) Place in the pre-heated oven in a middle rack and bake for 35-45 minutes, or until toothpick inserted comes out clean. 8.) 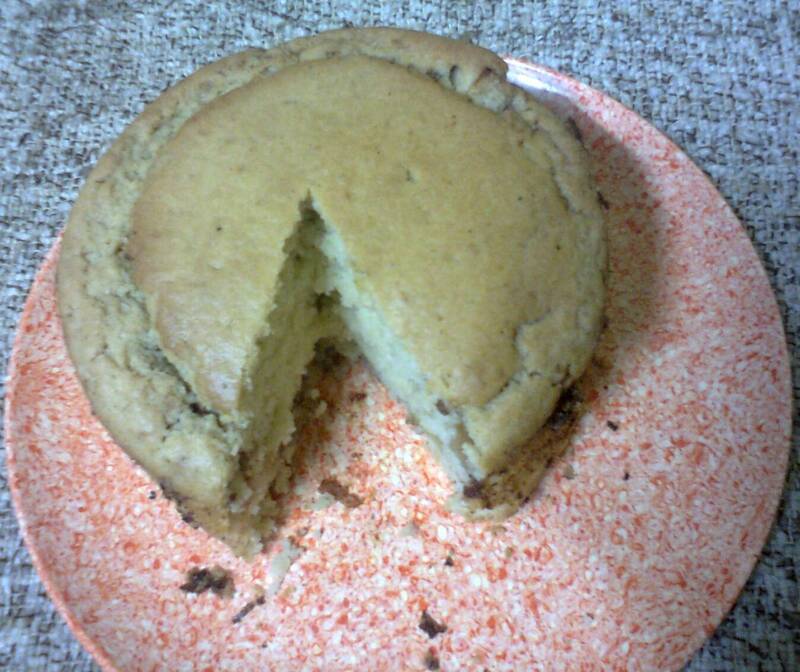 Remove cake from oven and let it cool for at least 5 minutes in the pan. Then remove it and place it on a cooling rack to cool for at least 10 minutes. 9.) You can serve warm on a plate to have with tea or coffee. If you would like, you can also cool completely and frost it. 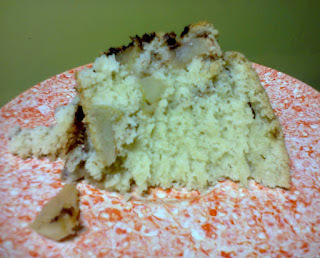 Slice of Apple Cake - yummy!